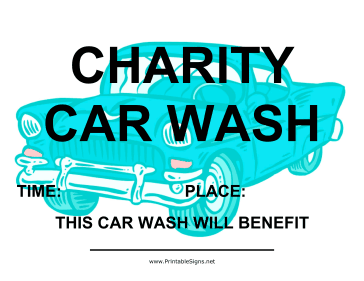 Throwing a car wash to raise some funds? This sign is the perfect way to advertise your event! The sign features bold lettering and a car background.